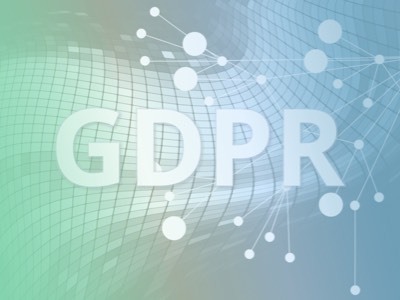 The complex data lineage problems posed by the European Union’s General Data Privacy Regulation (GDPR) are impossible to solve with relational and most NoSQL technologies. 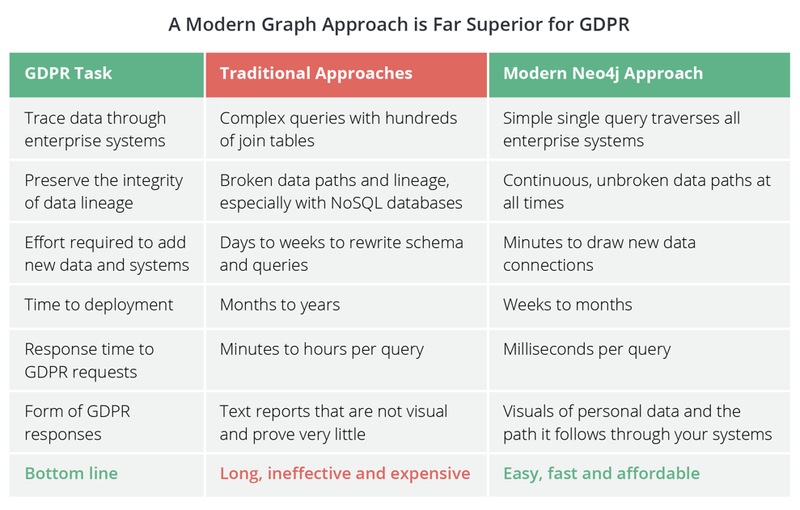 A modern graph database platform like Neo4j is a superior foundation for addressing the connected data requirements of GDPR compliance. Relational technologies are built for managing highly structured datasets that change infrequently and have minimal numbers of clear connections. To connect all your operational GDPR data, you need a colossal maze of join tables and many thousands of lines of SQL code. Those queries require several months to develop and are impossible to debug and maintain as you add more systems and data relationships. Most importantly, queries of such complexity can take an eternity to execute and can easily hang your server. Some NoSQL and relational databases claim to have graph capabilities. In reality, they have cobbled a graph layer onto their non-graph storage models. These non-native approaches inevitably omit key system connections and break personal data lineage, making them easy targets for GDPR regulators. Neo4j is a native graph database that stores and connects data as a graph—just as you visualize it—making Neo4j the ideal technology for GDPR compliance. The ultimate test for any technology is its ability to satisfy regulators and consumers that your organization is GDPR-compliant. Traditional approaches produce tabular output that is hard to follow. In contrast, Neo4j produces simple, easily understood pictures of how personal data flows through all your systems.